Southborough was named Number 31 in the nation on CNN Money's "100 Best Places to Live" in 2009. Southborough consistently ranks #1 as the wealthiest community in Worcester County. It ranked 15th for most million dollar earners among all other Massachusetts communities. Southborough home prices are not only among the most expensive in Massachusetts, but Southborough real estate also consistently ranks among the most expensive in America. Of the town's residents 93.80% are employed in white-collar jobs, well above the nation's average. First settled in 1660, land use now is primarily residential, with substantial open space. A tenth of the town's area is flooded by the Sudbury Reservoir. Light industrial land use is concentrated along main roads, primarily Massachusetts Route 9, and there are several small business districts in the villages and along Route 9. Southborough was first settled in 1660 and was officially incorporated in July 1727. Southborough was primarily a farming community until mills began to tap the small rivers that ran through the town. By the end of the 19th century, Southborough was home to the manufacture of plasters, straw bonnets, boots, and shoes, among other things. In 1727, Southborough split off as the "south borough" of Marlborough, much as Westborough had split off from Marlborough in 1717, ten years before. In 1898, the Fayville Dam was constructed to produce several reservoirs to supply a growing Boston with water. As a result, manufacturing vanished, and Southborough did not see substantial growth until the high-tech boom of the 1970s. The Fay, Burnett, and Choate families along with hundreds of others had a major impact on the development of the town as it is known today. Buildings such as St. Mark's Church, St. Mark's School, the Library, and the Community House and the Fay School were all derived from or were direct products of these families. According to the United States Census Bureau, the town has a total area of 15.7 square miles (41 km2), of which 14.1 square miles (37 km2) is land and 1.5 square miles (3.9 km2), or 9.64%, is water. By the census of 2010, the population had reached 9,767. As of the census of 2000, there were 8,781 people, 2,952 households, and 2,426 families residing in the town. The population density was 620.7 inhabitants per square mile (239.7/km2). There were 2,997 housing units at an average density of 211.8 per square mile (81.8/km2). The racial makeup of the town was 94.47% White, 0.54% African American, 0.07% Native American, 3.52% Asian, 0.05% Pacific Islander, 0.50% from other races, and 0.87% from two or more races. Hispanic or Latino of any race were 1.50% of the population. There were 2,952 households, out of which 47.5% had children under the age of 18 living with them, 73.9% were married couples living together, 6.0% had a female householder with no husband present, and 17.8% were non-families. 14.0% of all households were made up of individuals, and 5.5% had someone living alone who was 65 years of age or older. The average household size was 2.97, and the average family size was 3.30. In the town, the population was spread out, with 32.1% under the age of 18, 3.7% from 18 to 24, 32.2% from 25 to 44, 23.9% from 45 to 64, and 8.1% who were 65 years of age or older. The median age was 37 years. For every 100 females, there were 99.9 males. For every 100 females age 18 and over, there were 95.2 males. The median income for a household in the town was $132,986, and the median income for a family was $129,454, although according to CNN, median family income had risen to $148,297 by 2009. Males had a median income of $80,961 versus $50,537 for females. The per capita income for the town was $64,310. About 0.4% of families and 0.6% of the population were below the poverty line, including 0.7% of those under age 18 and 4.5% of those age 65 or over. The form of town government is open town meeting with a Town Manager and a Board of Selectmen, in which the voters of the town act as the legislature. Each Town Meeting is managed by the Moderator, who also appoints most of the membership of the unelected boards. The five members of the Board of Selectmen, however, are elected to act as the executive body of the government. The Selectmen delegate day-to-day operations to the Town Administrator. Southborough's town elections are non-partisan. Almost sixty percent of current voters registered without enrolling in any political party. Democrats slightly outnumber Republicans in the remaining forty percent. Minor party enrollments are negligible. The public library in Southborough was established in 1852. In fiscal year 2008, the town of Southborough spent 0.95% ($370,390) of its budget on its public library—some $38 per person. Public and private educational campuses frame Southborough's downtown. Southborough has six public schools. The four elementary and middle schools are inside town limits; the two high schools are regional schools in adjoining towns. Southborough is home to a private secondary school, St. Mark's, which was founded in 1865 by Joseph Burnett. The oldest junior boarding schools in the nation, the Fay School, was founded a year later in 1866 by Joseph Burnett's first cousin Harriet Burnett Fay. 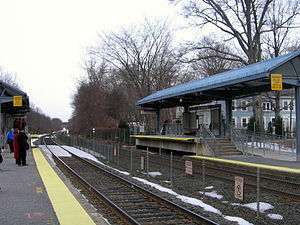 The MBTA Commuter Rail's Framingham/Worcester Line train stops at Southborough Station, which opened to commuters on June 22, 2002. The station is located in the Cordaville neighborhood, on Route 85 near the border with Hopkinton. As of October 2007, ten daily round-trip trains provide service to Boston via the Back Bay and South Station terminals. Interstate 495 and the Massachusetts Turnpike (Interstate 90) both pass through Southborough, although neither have interchanges within town limits. Routes 9 and 30 are east-west routes passing through Southborough, while Route 85 serves the town as a north-south route. Southborough celebrates Heritage Day on Columbus Day. The day starts with a brief, noisy parade down Main St., anchored by youth organizations, the Algonquin High School marching band, and police and fire vehicles. The parade ends adjacent to the St. Mark's green, where vendors and local organizations set up booths offering crafts, food, knick-knacks, and information. There are also events on the prior Sunday, including a five-mile run, a three-mile walk, and a pumpkin-carving contest that is judged at dusk. Winfield Scott Hammond (1863–1915), Congressman, Governor of Minnesota from January 5, to December 30, 1915. ^ Douglas, Craig (13 February 2015) [12 February 2015]. "The BBJ's 2015 Millionaire Report: The towns and cities with the most million-dollar earners (BBJ DataCenter)". Boston Business Journal. Retrieved 22 November 2018. ^ R.G. (August 2009). "Best Places to Live: 31. Southborough, MA". Money. Retrieved 22 November 2018. ^ "An Act For Dividing The Town Of Marlborough, And Erecting A New Town There By The Name Of Southborough". The State Library of Massachusetts. Retrieved 2014-10-24. ^ "6-Figure Towns". CNN. July 21, 2009. Retrieved May 23, 2010. ^ Beck, Byron (2007-09-27). "Storm Goes Large". Willamette Week. Archived from the original on 2010-01-14. Retrieved 2007-10-08. 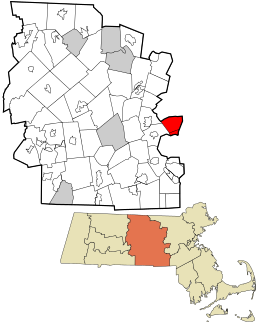 Wikimedia Commons has media related to Southborough, Massachusetts. This page was last edited on 20 March 2019, at 02:54 (UTC).